Looks Good from the Back: 90% of our conversations go like this. M: Those are interesting for sure. I like the color. A: I should be saving towards boots, but... I am bad at shopping. M: Well, let's see. Don't you have purple shoes already? A: Those are brown with purple trim! Totally different. I do have tall purple-ish Frye t-straps, though. M: Ah, they read plum at first. You really, really want boots, though. Devil's advocate. M: I'm sorry! They are real pretty and definitely your style. But. A: I'm sorry! I do not understand this photo in the context of "haircut" but it does look like glorious, long curly hair I will never have. A: It looks like your hair! Which is gloriously long and curly! I'm going to go play football now! Maybe drink some beer! M: Impossible. Have you decided on the shoes? A: Eh, free returns, I ordered them on spec. M: Oooh. Yay for new shoes! 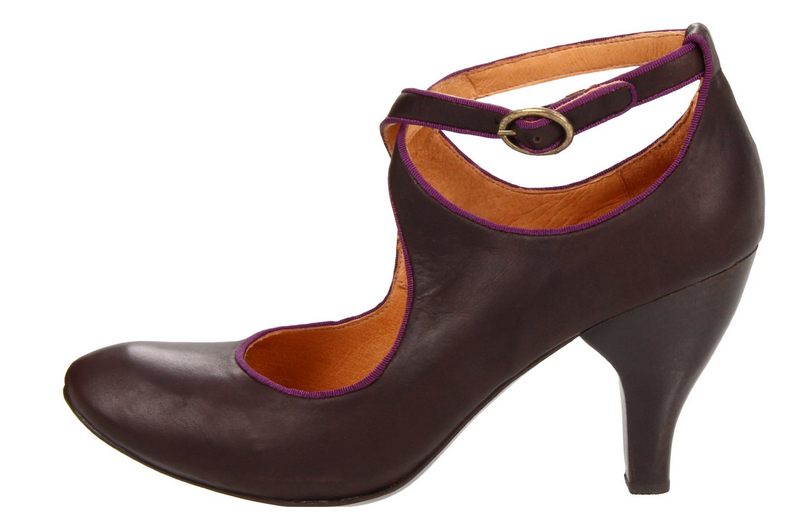 A: I'm pretty sure Coclico and Chie Mihara are made at the same place, so I'm curious. M: I didn't know that! Interesting. I still covet those blue Coclico wedges. A: Oh god, those are fantastic. A: Same cut, different fabric/color. They're pretty good. M: Those look freaking perfect! I seriously might lose my mind and buy those skinny jeans. A: I think that's entirely reasonable as long as they're absolutely perfect. I don't mess around with jeans. If that pair is on Amazon, they have two promotions running right now. You can get 20% off by signing up for their clothing emails or $20 off denim. M: THEY ARE ON AMAZON TELL ME MORE I WILL BUY THEM RANOW. A: I need to stop looking at stuff. M: God, we are a sick lot. I really hope these jeans work. I was seriously in tears last week over my skinny jean situation? Sad. 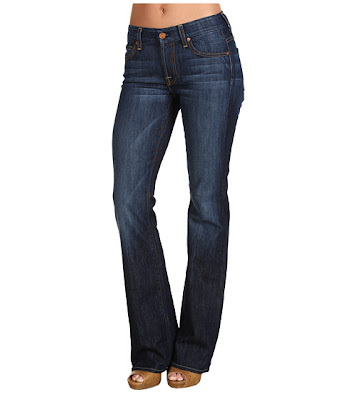 A: I only have one pair of jeans I can wear with boots right now. It's downright tragical. M: My Gap skinny jeans kind of split my peaches a bit and I just can't handle it any more. 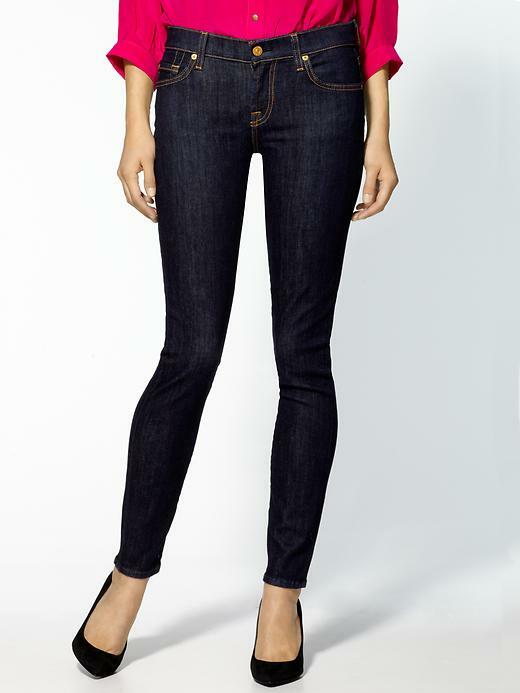 A: I have my black skinny jeans that I can still squeeze into but my blue ones (Levi's) are OBSCENE. M: Those Joe's jeans skinny monsters! A: Oh, not those! I have another pair that are actual jeans. I'd forgotten about the "force them on" pants. Ha. A: YOU WILL LOVE THEM. You guys crack me up! This sounds like a conversation I have in my head every time I online shop. Dude - you simply MUST get the 7famk illusion jeans. I just got them (wore them today, in fact), and despite the fact that I get downright stabby about spending so much cash on "premium denim," this is one instance in which I think it's worth it. They are super slimming, and super comfy. Even the waistband doesn't pinch and is stretchy. I have thick legs and sized up to reduce the sausage-casing effect, and I like the fit, but if I wanted them to be more second-skin-like, I probably could have taken my normal size. Anyway, love you guys. Have been reading, like, for-evah but have never posted. But you are my internets favorites. Hi Abby, thanks for reading! And for making me want Marianne's coveted jeans! Dammit. 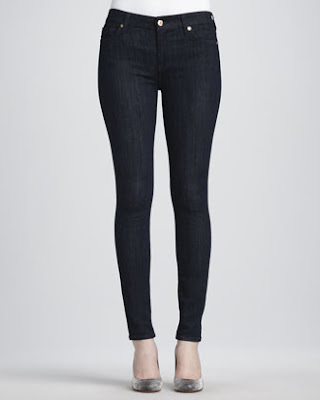 I AM SO EXCITED ABOUT THESE JEANS. I am worried that I ordered them a size too big, but we'll see. YAY! Wait, what size did you get? You didn't follow my advice, did you. I had a panicky last minute change of heart. Because that size was almost sold out, but the smaller size wasn't, so I didn't want to risk them being too small and then not being able to get the bigger size? I don't know. That is acceptable. And I think they do free exchanges. They do! So we shall see. I can't wait to try them. I just ordered a pair. I'm weak.